The lobby of the second largest operating hotel in North Korea, the Koryo Hotel. After encountering the masses at the Yankkado hotel (the largest), we decided to move to this less-busy, but still grand hotel. 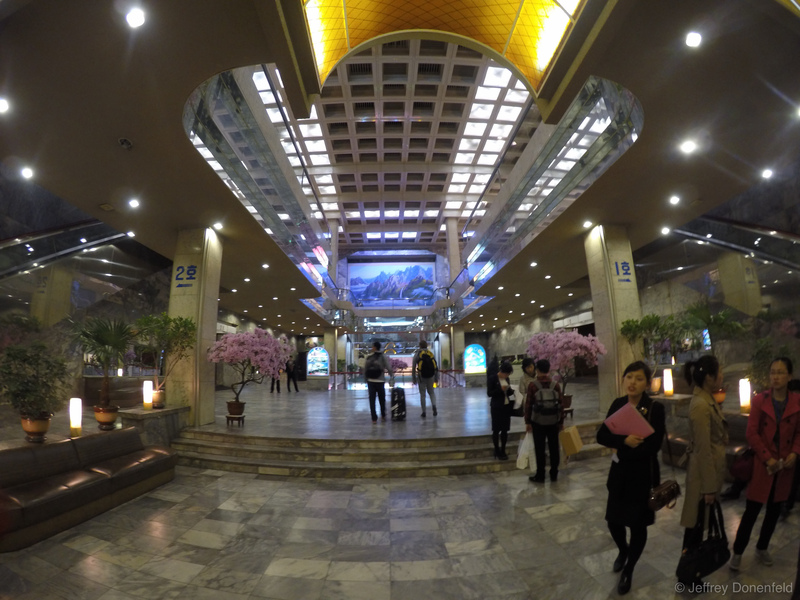 Entering tourist-oriented interior spaces in North Korea is a fantastic experience, with over-the-top decorations, shiny surfaces, lots of lights, majestic murals, and serene aquariums everywhere.